A Republican-dominated board of Kentucky lawmakers investigating an Owensboro Democrat's election by a one-vote margin has obtained 17 unopened absentee ballots from the local county clerk's office. Republican DJ Johnson lost to Democrat Jim Glenn by one vote in the November election for the 13th District House seat in Daviess County. Johnson has asked the Republican-dominated House of Representatives for a recount. His lawyers have focused on 17 absentee ballots that were not counted for various reasons. Wednesday, a police officer took those ballots from the Daviess County clerk's office and put them in a safe in the House clerk's office. Glenn's lawyer said the process has tainted the evidence and those ballots cannot be considered. House Republican Caucus chief of staff David Floyd of Bardstown said none of the ballots have been altered. As this year’s legislative session gets under way, one seat in Kentucky’s 100-member House of Representatives is still in question. Former Republican Rep. DJ Johnson lost re-election to represent House District 13 by one vote in November to Jim Glenn, a Democrat who previously held the seat between 2007 and 2016. But Johnson has requested a recount of the election, a process whereby the Republican-controlled House of Representatives will ultimately determine the outcome. A Kentucky Democrat elected to the state House of Representatives by one vote says a Republican's challenge of the election results should be dismissed. 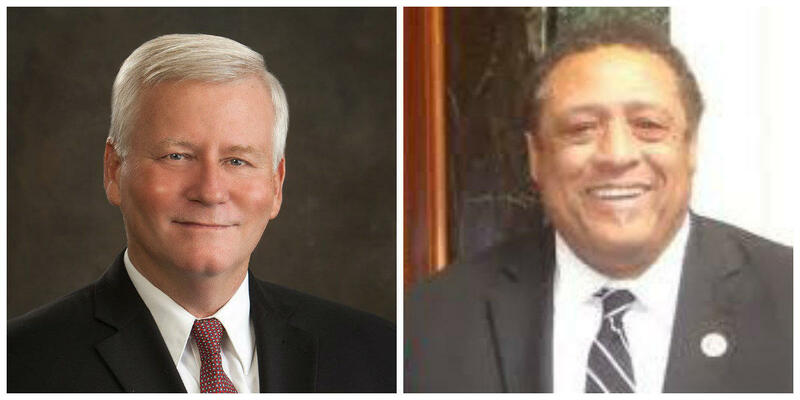 Jim Glenn defeated Republican state Rep. DJ Johnson by one vote in state House District 13. Johnson is challenging the results, asking the Republican-controlled House of Representatives for a recount. He says six voters are ineligible because they did not sign the precinct voter roster. He argues local officials incorrectly rejected 17 absentee ballots. Mary Beverly Goetz is 76, uses a walker and recently had surgery to remove a cancerous tumor. Worried her health issues would prevent her from voting for Democrat Jim Glenn in her western Kentucky state House district, she requested an absentee ballot by mail and sent it in weeks ahead of the election to make sure her vote was counted. Glenn won by one vote. "It made me feel good," Goetz said. "It made you feel like your vote really counted." As the nation watches election officials in Florida and Georgia painstakingly review results in high-profile Senate and governor's races, many less prominent races across the country were decided by agonizingly close margins. The Kentucky Secretary of State is ordering a recanvass of all votes cast last week in a state House race in Owensboro. The Democratic challenger defeated the Republican incumbent by a single vote. The Daviess County Clerks Office has been told to conduct a recanvass of all precincts in Kentucky House District 13, which covers most of Owensboro. The recanvass was requested by first-term Republican Representative D.J. Johnson.